The Walt Disney-owned US OTT sports streaming network ESPN has signed up 568,000 new subscribers over the weekend – Friday and Saturday combined – ahead of its debut coverage of mixed martial arts’ UFC Fight Night on Saturday. 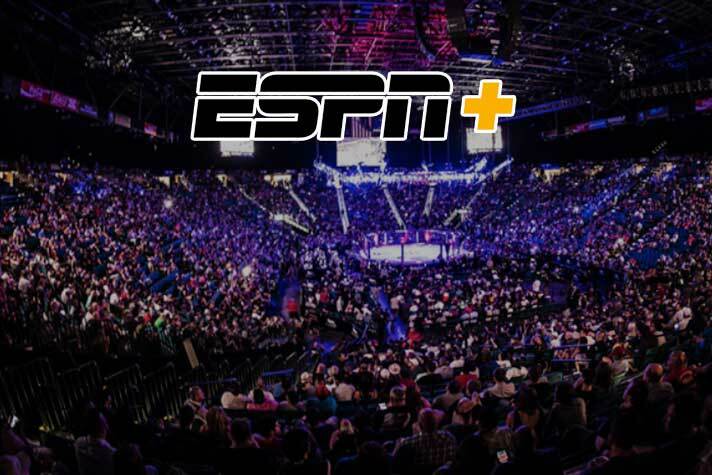 The development “marks the largest event and subscription catalyst for ESPN+ thus far”, the broadcast network has stated. Henry Cejudo’s first-round knockout of TJ Dillashaw at Brooklyn’s Barclays Center roped in 525,000 fight fans to ESPN+ on Saturday alone, making the mixed martial arts (MMA) organisation’s debut on the platform the largest event and subscription catalyst for the network since its launch last April. Meanwhile, the prelims card, which aired on the ESPN and ESPN Deportes television channels, also set new records for the US sports broadcasting giant, averaging a 1.4 metered market rating to become the UFC’s highest-rated prelims card on cable since at least 2013. In addition, ESPN has noted more than 1.8 million unique visitors to its MMA-related content across all digital platforms on the day of the event, which was its most-trafficked Saturday for MMA content ever. Saturday’s fight card was the first event as part of ESPN’s new five-year, US$1.5 billion rights deal with the UFC, which includes an agreement to show 20 bouts exclusively on ESPN+ each year. The broadcast partnership, which was announced in May last year, ended Fox Sports’ stranglehold over UFC rights in the US. “Our first UFC Fight Night on ESPN+ was a thrilling evening of action and a great success, with a record-setting night that continued the momentum for ESPN+, delivered strong ratings on ESPN and marks a great start to our new agreement with the UFC,” added Kevin Mayer, chairman of direct-to-consumer and international at The Walt Disney Company. The news comes as the latest boost for ESPN, which announced in September that ESPN+ had reached one million paid subscribers in just five months. The service has now added personalisation features to provide individual users with content recommendations, while subscribers can also now access programming offline.